VOTED BEST Roof Installation Service Contractors - Beneficial Roofing | VOTED BEST Roofing Company, Call Us Today & See Why! A solid roof is absolutely necessary to the comfort, versatility, and safety of your home. On average, a roof will typically last about 20 to 25 years. However, it may need complete replacement much sooner for a number of reasons which include poor attic ventilation, low-quality roofing materials, inefficient roof installation, or storm damage. At Beneficial Roofing, you will find experienced roofing contractors who are sure to make your roof installation as simple and stress-free as possible. Our customers can rely on our wide experience and vast expertise to identify the best roof water-proofing solution and other answers to your roofing needs. Let Beneficial Roofing improve your roof! A first-rate roof installation and quality roofing materials are essential for a long lasting complete roof replacement. Beneficial Roofing offers roofing products that provide lasting durability, as well as improve the entire look of your house. Our experienced commercial and roofing experts are fully committed to installing your roof correctly, safely and efficiently. We do strive to exceed your expectations and at the same time, staying within your budget. We have maintained a nearly flawless reputation in the many years of experience in waterproof roof installations. Synthesizing quality products with expert installation, Beneficial Roofing can guarantee that your roofing structure will be sturdy and resilient. Our roof installation contractors are local, insured, licensed, and have undergone a thorough background screening process before they can conduct a free in-house consultation. They are all well-qualified in the use and handling of liquid waterproof coatings. Aside from our technical expertise, we have a reputation for superb standards of workmanship, while providing complete customer satisfaction. The re-roofing and siding contractor installers from Beneficial Roofing will first visit your home for the sole purpose of verifying the true condition of your home’s structures and also take detailed measurements of the surfaces that need to be covered. Then, they will send you a comprehensive estimate quote of all-the costs involved in-your roof installation project, and also review the-choice of materials inside the store. Once you’ve accepted the estimate, we’ll contact you to set up a schedule plan for the work that needs to be performed. We will assume full-responsibility—from removal of existing gutters and siding, to installing of new roof cladding, not to mention quick delivery of the materials you’ve chosen, including vinyl, hardwood, aluminum, wood, fiber, cement-siding and roofing materials. Beneficial Roofing offers special solutions such as green roofs, triangular fillets roofs, and roofing solutions with membranes with a copper or aluminium surface. Other specialized areas of competence include: membrane water sealing of bridges, cellars, terraces, tunnels, concrete decks like parking decks. Find out how our experience and mastery in the field of roofing can be used to solve your roof installation needs by contacting us today. 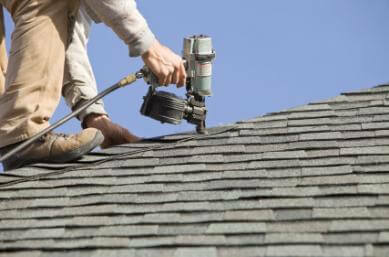 Our licensed roofers will tailor the installation job that will fit your budget and project timeline. We aim to provide complete customer satisfaction with our waterproof roofs. Obtain a free same day or next day visit and receive estimate. Get an amazing roof! Contact Beneficial Roofing now!